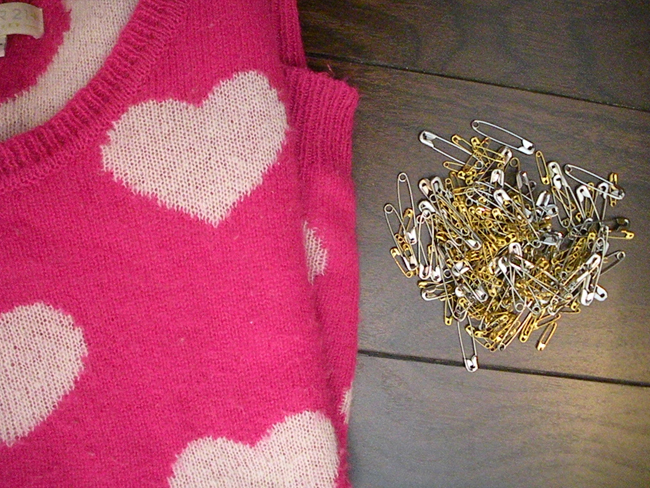 I stumbled upon this wonderful Safety Pin Heart Sweater DIY over on Trinkets in Bloom & fell in love! When we were in Virginia for Christmas I stopped by Forever21 to shop their plus section - which I love! - and found this awesome heart sweater. I usually don't pick up sweaters because I feel that they don't flatter me well...but this one I couldn't resist. I've been wearing it way too much. Last week when we were in Wisconsin, I wore it all week! 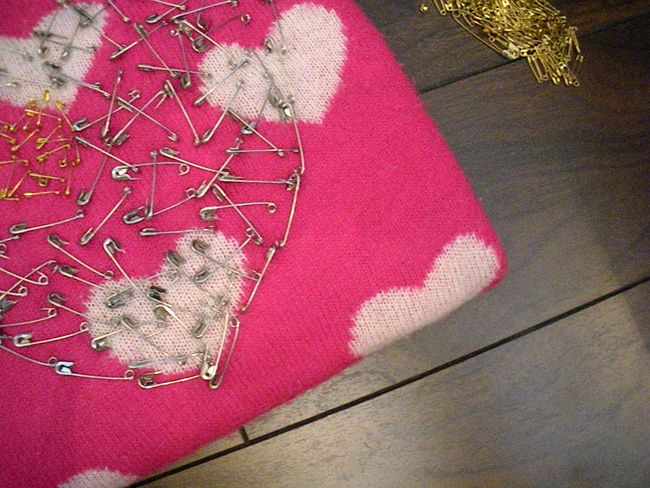 I decided to spruce it up even more for Valentine's Day with a safety pin heart! 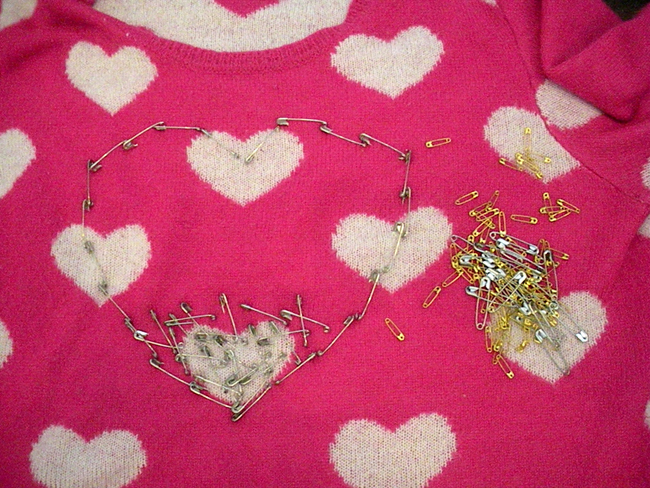 I followed the tutorial but added a smaller heart inside of the bigger heart, in small gold safety pins since I was running out of bigger safety pins!! I had to keep fiddling with the heart shape to make sure it was staying in a heart shape. 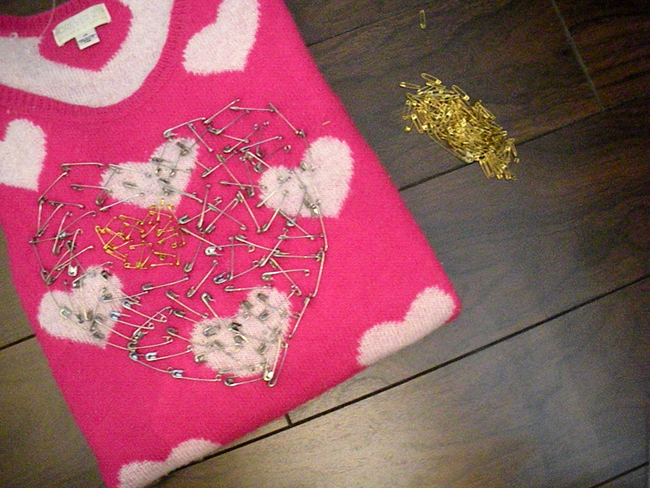 I also think I may try it again by outlining just a small heart in gold safety pins! 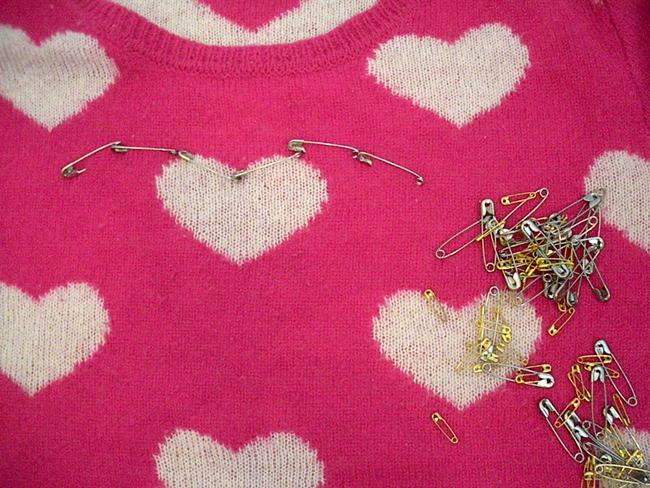 There are so many shapes & outlines you can add with safety pins. I'm so glad I found this awesome DIY to share with you!